Will there be change? Into Democratic Nation or Islamic State? The revolution is a secular, upper-middle class one. By Middle East standards, Egypt is a modern, prosperous, secular country with a long history connecting it to Europe. It would kind of surprising if they became an Islamic state like Iran or Saudi Arabia. I see gor beat me to it…. 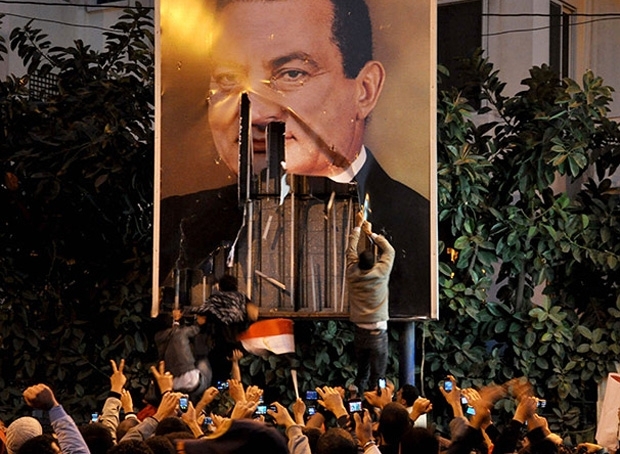 Everyone will be shot, Mubarak will have his brain transplanted into a colossal golden robot and rule over Egypt for eternity as UltraPharaoh. Can’t it be both? Oh wait it is both. They’re revolting against the people in charge not against the principles of their political system. 40 million people living in poverty? That’s 10 million more people than there are in all of Canada.